Rail passengers face three weeks of disruption as a major engineering project at the UK's busiest train station begins on Saturday. The £800m revamp will close 10 platforms at London Waterloo as the station prepares for longer trains and creates extra space for passengers. 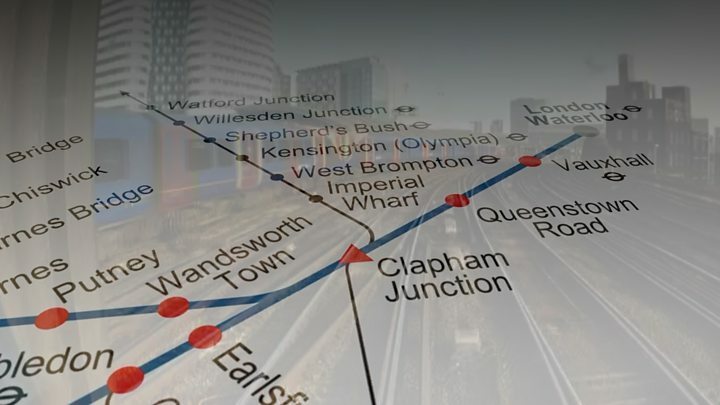 South West Trains said it will be operating a significantly reduced service until 28 August. 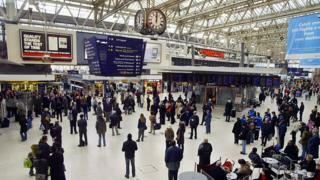 More than 99 million passenger journeys were made from Waterloo last year. South West Trains operates 1,600 trains a day, carrying 651,000 passengers, making it the busiest commuter operator in Europe. The new Waterloo station is expected to provide space for 30% extra passengers during the busiest times of the day. Rail chiefs have urged passengers to avoid popular terminal stations during rush hour, use alternative routes instead or consider taking a holiday and working from home. Network Rail chief executive Mark Carne has previously admitted he is "worried there will be challenging days" and accepted that "there are going to be days when the service is very difficult for people". Five Waterloo International platforms, which shut in 2007, will reopen temporarily before closing again for the construction of a new passenger concourse. The project to extend the platforms at Waterloo will allow longer trains to operate on suburban routes from December 2018. August bank holiday weekend will see major disruption on trains out of London Bridge, London Euston, London Liverpool Street and London Paddington, as well as Waterloo. Network Rail said it carries out major engineering work on bank holidays as up to 50% fewer passengers use the railway during those periods.